This past year I partnered with Ana Luisa for an ongoing partnership where I designed my own necklace to sell on their website. If you want to learn more about this process and how I came to my (perfect little) treasure of a necklace, you can watch this video. When I posted that and pulled my audience’s attention towards my love of accessorizing through jewelry, I started to get a lot of questions about how to layer jewelry. Layering, or stacking, is a very popular long-term trend I am obsessed with, and I wanted to share this love and some tricks with you all. I’d like to give myself a pat on the back for co-designing a necklace that was created with stacking in mind. The beautiful chain and simplicity yet delicacy of the pendant makes layering easy and elegant. Experiment with different chain designs. There are so many chains on the market that even skinny or fat chains have thousands of specific options to choose from. The chain is half the fun! Find pendants that mean something to you. 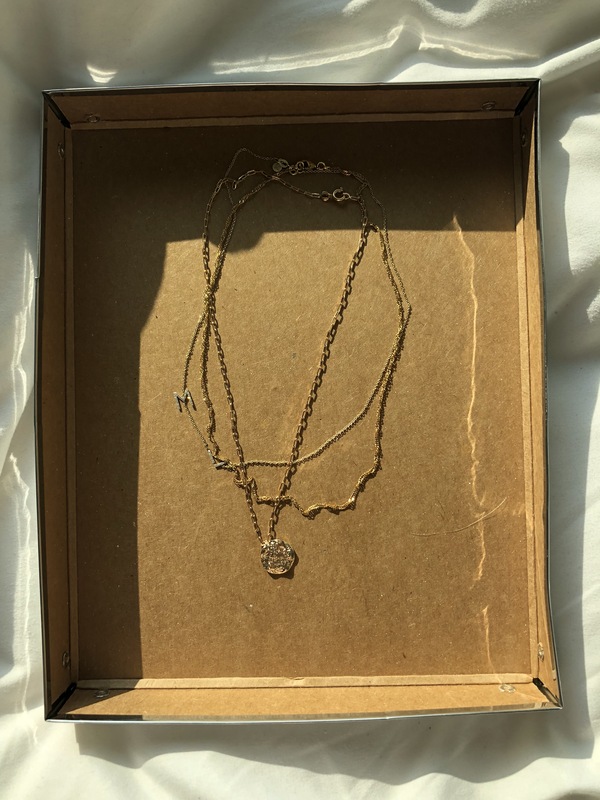 I love when girls necklaces have memories or design that they can connect to- it makes the whole process of stacking more fun and personal. Don’t be afraid to mix metals. Some of my favorite looks include silver, gold, rose gold, colors… you name it! Definitely don’t feel as though you are limited to one metal or look when mixing and matching. Layer pendants. I love adding multiple charms/ pendants to one chain. This is also a good trick if you hate untangling- one less chain to deal with! Here are some stacking examples I made with my necklace and below are how some of my friends layer their own jewelry! I hope this helped!! Send me pictures of how you layer necklaces.